For those without e-readers, here is the text of the story. The center of the lush meadow was so peaceful, with daisies and yarrow barely waving in the soft morning light; unaware of the roiled and bloody muck they would soon become. Atal sighed, gathering with the others at the sideline. He could see among the war-clad men and women milling at the rise to his left, a number of his kind mingling unseen with the warm-blooded. There was a stir and a shift in attention as boats hove to shore at the river that edged the bottom of the meadow. Dark figures like Atal’s were also among them on the boats, and waiting on the stony shore. A female voice spoke from behind him. “There are too many of us here, Atal. That means you haven’t told us everything.” Atal turned slightly toward Jahl, a slight crooked grin completing the crooked angle of his long nose. The warriors at the top of the rise began dinning their spears on their shields and chanting as the ones at the river disembarked and formed tight knots. They crouched and began their own low invocation, staring up the hill from eyes painted to look dark and fierce. Some of Atal’s tribe were already unhurriedly placing themselves around the meadow. In a few hands, the curved blade glittered in the early sun. Atal’s friend, Hurk, spun and caught his dagger idly. Atal heard a snicker from Jahl. “Show off,” she said, grinning. The battle lines were coalescing, the black-clad army at the river’s edge into vanguards and the green army to Atal’s left into one long wall of death. The drumming began and the army at the left poured down the hill, screaming. Birds exploded from the grass and flew toward the trees. The armies met with a clang, and the chanting ceased, replaced by grunts and shouted names and shrieks of pain. Already those of Atal’s kind were at their work, cutting here, gathering there. Already, some of them were working their way to the edge of the meadow, daggers bright with ichor in their right hands, their left hands leading the dead; who invariably looked surprised and confused. Some were women. One of them was led by Hurk, who carried the soul of the woman’s unborn child gently in the crook of his arm. As they passed Atal, the baby looked at him with knowing eyes, the umbilicus trailing off into light against Hurk’s dark robe. In moments, it would grow to stature and Hurk would set it down to walk the spirit road with its mother, Atal knew. The battle was slowing down, the warriors tiring. Atal turned to Jahl. “Follow me, with your followers.” She nodded and turned to the dark figures behind her. Atal nodded to Hurk, who remained behind on the field of battle while the bulk of Atal’s people moved over the rise toward the village several furlongs beyond. Atal could see the small town first by a smoke rising from between green hills. As they approached the clay tiled roofs were apparent, and individual vegetable patches. Beyond the village were the pastures, but the livestock had been gathered into the common enclosure and the open fallows were empty… except for a dark crowd of warriors, just emerging from the cover of trees, on the opposite side of the village. There was plenty of time, no reason to hurry. Atal and his following rambled easily over the fields, arriving just as the painted warriors descended upon the hamlet with fire and blade upon those too old or young or ill to fight. Atal entered the home of the chieftain’s family. This one was not fired; the aggressors knew there was treasure within. The doors were barred, but that meant nothing to Atal. Even before he entered, he counted the souls inside. Numerous children, two very old people, two pregnant females. One stood tall over the others, and was clearly the chieftainess. She bore a sword, ready to defend all within—but the mark was already on her. As Atal waited while the screams and shouts outside grew closer, and a banging began on the strong oak door, this woman’s eyes swerved to meet his. Atal felt chilled to the bone. It happened occasionally. It was usually someone very old or very young, or gravely wounded, who hovered on the edge of life. This woman, though, was strong and vital, standing bravely over her house. As Atal’s eyes met hers, he saw in her everything he was sworn to protect—life, humanity, a strong spirit free from the terror of death and the dead. For a long moment, he took in her green eyes, her dark-blonde braids, the red gown crisscrossed by gold and beads, the shield she clutched in front, the sword she held pointed to the ground at her left—she was left-handed, he noted—the unusual folds in her ears, the curve of her shoulder and the deep and seething breaths she took. Atal turned to view the men hammering at the door. Their leader, a vast and tall man, stood just behind, ready to charge into the door once it fell. Atal knew men, saw in his eyes the violence and mercilessness he savored in his mind. The prurient cruelty. The contempt for life. The door hinges shattered and the oak fell inward, thudding on the floor. Atal did the unthinkable. With the swing of the chieftaness’s sword, Atal reached with his curved blade and severed the silver cord at the heart of the man with a deft flick; the man’s limbs splayed helplessly in mid-strike. The woman’s sword swung upward, catching the artery beneath the jaw line. But as his blood sprayed out, his soul already stood weaponless and bewildered in the dark of the room as his insensate corpse fell forward onto the shattered door. The woman didn’t waste a moment, but jumped up on the back of the huge man whose corpse filled the doorway and shrieked fiercely at his shocked followers. It was only then that more of Atal’s people appeared within the house, their faces just as confused as those of the men outside; who were now backing away from the door. But the moment did not last, for the remnant from the battle in the meadow were now returning to the village, screaming revenge. The painted men turned to face this new onslaught while the woman stood berserk at the door, swinging her sword about her. Atal moved away, but not without a backward glance. The mark was still upon her. Hours later, Atal walked from the village to a nearby hilltop. From there, he could see the spirit road stretching away into the evening sky. A few still walked it, but not in numbers like earlier. He himself had helped many to find the road, and helped with those who stubbornly refused—out of jealousy or unforgiveness—to leave the living and go their way. Atal knew where the road led, and of the fork far away, out of sight; and that none returned who walked it. He knew that their journey was appointed. He knew that a house in the village was filled with living souls who were marked for the road, but there they were. A figure was approaching—Hurk. He came and stood by Atal and gazed down at the houses. “Did he at least have the mark upon him?” Hurk murmured. “You know the answer.” It had not been the big warrior’s time. “I know how far outside the bounds I stepped. I…” Atal sighed deeply. “I am not even sure I can say that I am sorry. I know…” His words fell apart with mixed commitment and regret. Hurk reached over and squeezed his shoulder for a moment before turning away. For some days, a few of Atal’s people lingered around the village, reaping the souls of those whose injuries were mortal. Some followed the invading tribe on their boats, for the same reason. Atal went to find the one who had been there longer than any of them; Kirkal, the local soul shepherd. Kirkal had arrived more than a century before with the settlers of the area. For generations, he had needed little help overseeing the departures from the tiny farming community as it grew into a town. Kirkal was expecting Atal’s visit, and showed no surprise at his approach. The two bowed respectfully. Kirkal faced Atal squarely. It was deep in that night that he knew. A celebration had gone long into the night, and one young couple had met in the barn. A lamp had been kicked over and a fire spread in the straw. Meanwhile, Erigal was in labor. Atal led his people into the flames where children and old people were overcome by smoke. Most of them were led out before the tongues of flame could reach them. Erigal was being led out from the house by the chief, her husband; both of them were badly burned. Every few steps, Erigal stopped and clenched, involuntarily pushing. The mark was very dark upon her now. Atal followed her closely. Jahl stepped up beside him. They shared a brief gaze, and Jahl nodded. Erigal stopped and clenched one more time; she crouched down, pulling her robe to her waist. Souls were passing by, escorted by Atal’s dark people. Their faces turned towards Erigal, but they did not pause on their way. The woman pulled a shawl from her shoulders and lay it between her feet and with a final scream, her newborn slid onto it. Her husband supported her by the shoulders while a younger woman wrapped the child in the shawl. The cord still connected the baby to Erigal, whose blood pooled around her feet. She was collapsing, and the second child was not delivered. Kirkal stood at a short distance, watching. In a few minutes, Atal himself cut the cord connecting Erigal’s life to her magnificent frame, while Jahl waited a few moments for the unborn twin. Erigal stood gazing down upon her former self. Jahl stood up, holding a tiny slip of soul to her chest. Erigal watched her husband trying to revive her, while fruitlessly the village healer attempted to retrieve the dead twin from her belly, pushing down on her flaccid stomach. The living newborn, its cord now cut, mewed in her cousin’s arms. Erigal then nodded to Atal, and they turned to go. Dawn was breaking over the river, and the spirit road led above the smoke and the terror and the mournful cries. After some time, Atal was aware that the dead twin was walking beside his mother. Atal looked at the twin, and saw the cost of his impulsive choice. This boy was to be a delight to those who knew him. He would have shot arrows with such piercing accuracy; sang with such a heavenly joy. The girl he would have loved would have been blessed, and their children beautiful. But even now, all that was changing; erased from the future. The bride and children were his brother’s. And his brother would always carry the loss of his twin, a sadness no one could fulfill. His choices would be confused. Within generations, his line, the line of Erigal, would fail. Future paths shifted, this one ending in darkness. Atal grieved. It suffocated him. Erigal and her people continued on the spirit road, but Atal staggered to a halt. The curved dagger weighed heavy in his hand. He stumbled down to the river’s edge and stared into the water as the sun rose higher. Smoke from the village soured the loveliness of the morning. Atal held the dagger over the shining water, and let it drop. But it would not. It returned to his hand, where it belonged. Hurk, Jahl, and the others stood by him. Their faces did not judge him. It was time to go for now, but they would be returning in numbers to this place, he knew. Before they moved away toward their next appointment, Atal looked back up the meadow. From the crushed grasses and dark places where warriors had struggled and spilled blood, from a rut where a body had been dragged away for burial, a daisy had raised its head to the morning sun. From September 27 to October 1, Blackbirch Woods will be free to download from the Kindle Store. Click here for the link. After that, it will also be available in the Kindle lending library, at least until December 23. Enjoy and spread the word to your e-book loving friends!! I am really excited that Amazon has made it easier to publish Kindle versions on their site. Blackbirch Woods is now available as a Kindle HERE. Another short, short story for you! Again, the text of the story is published below, or you can download to your e-reader by clicking here: The Roof. I’m telling you, I see my mother on the roof sometimes, just sitting and looking out at the other houses, the roofs, the antennas, the obsolete satellite dishes, and other junk people stick on their roofs; but I never ask her how she gets up there. The only way would be to climb out the tiny bathroom window and creep over the narrow overhang to the place where the dormers end and the roof spreads toward the peak. But I see her out there. I imagine her smoking a cigarette, because it’s what the movies would show her doing, but she doesn’t do that. Instead, she hums. I can hear a ghost of her tune over the sound of traffic and the wind through the maple leaves outside my window. It’s just like the sound the wind makes, rushing by my ears when I fly through the night. I imagine Mom wakes me up in the middle of the night and shows me the way to get out there. We climb out, gasping with effort and giggling with adventure, till we reach the place where the leaves and pine needles gather near the edge and she warns me to be careful, not to get too near. And all the time, I pretend she is showing me, that I don’t already have my own secret way out there. Me and Maggie, the dark, fat cat whose amber eyes showed me the way out from my hot attic room last summer. She paused at my window screen, meowing ever so slightly, her nose twitching. I called her name. Five minutes later I heard my closet door squeak and she’s jumping on my bed, purring and nosing my chin. It was too hot so I pushed her off, then wondered how she got in. I found the crawl space hatch askew, and beyond that, the screen over the vent in the soffit torn off, just at the corner. That soffit overhung another part of the roof, so I just pulled it off a little more—the staples were rusty and brittle—and crawled out into the cool night. That’s how skinny I am. Maggie followed me. The air washed over me and filled my grateful lungs after the fusty crawl space. That last summer, I just sat on that part of the roof the first few times. I was too afraid to move around but that was when I started seeing Mom out there on a different part of the roof. One night I just started moving around the edge of the overhang and found a way onto the broad expanse of roof that I would see her on. I wanted to surprise her one night. But it never happened. Something else did. I lay back on the gritty asphalt roof tiles, watching the maple branches bending over me, and over that, the sky. Usually it would be a kind of orange color from the overcast and the street lights. But that night, the sky was clear and I could see a band of stars in an arc overhead. I reached up my hand and traced them with my finger. I remembered a song we sang in school that went, “Follow the drinkin’ gourd.” The music teacher explained how the drinking gourd was a constellation that people would use to find their way when they were escaping slavery. Most people call it the “Big Dipper”. I thought about those stars and I was pretty sure I was looking at the same ones, from the picture in the music book. I thought about people looking at those stars a hundred years ago and two hundred years ago and maybe thousands of years ago and I felt free from the time I am in and the body laying on the roof and the freedom was so overwhelming I was glad the maple branches were over my head, holding me down to my place on the top of the old gray house with my Mom and sisters and Aunt Joanie and Uncle Clyde sleeping down below. The next time I went out there I flew even higher. I could look down and see my pale blue nightgown against the black roof. I could see the stars reflected in my shining eyes. I could see over the other rooftops to the lights of town, and the dark of the hills at the outskirts. And after that I could fly to those hills and skim the waters of Lake Bomoseen and fly to the bald head of Killington, the ski lift towers like abrupt fists in the night, the trees like bunched velvet passing underneath me. That fall and winter and into spring, I flew only in books. But even when the roof was blanketed in white, I am telling you my mother was out there anyway, bundled in her coat, singing softly. Till the eaves were dripping and I carefully pried out the staples and Maggie and I ventured out onto the roof. But it was too cold and when I went in, I weighted the screen down with an old sneaker, so the red squirrels wouldn’t wreak havoc. Summer came late and wet, and poor Maggie was hit by a passing car. We buried her under the maple tree, rolling a whitish rock over her place and planting impatiens around it. The old sneaker stayed where it was until it was almost time to go back to school. I had been to Lake Bomoseen to swim with some friends and while I was paddling in the amber water I looked down at my shadow, surrounded by golden shards of sun. If I spread my arms, my silhouette flew against the brown depths of the lake. I remembered flying from the roof. That night we cooked on the little grill on the back porch and I kept waiting for it to get dark. When it was finally really night, I said I was tired from swimming—which I was—and went off to my room. A window fan hummed, keeping the attic room breathable at least. I lay on the bed, letting the fan cool me. I fell asleep. Later, when I woke, still in my bathing suit, I went right to the crawl space hatch. My knees knew the dusty planks laid over the joists. I moved the sneaker. I had grown and had to pull another staple out, and even then I got scratched and my bathing suit snagged. When I made my way around the roof, there was my Mom. I gasped, and she heard me and turned. “Sylvia! How the—“ she didn’t finish the thought, but was at my side, gripping my hand and pulling me to where she had been sitting. She firmly sat me down next to her. But then she didn’t say anything for a while. She was still holding my hand tightly. She lay back against the roof tiles, and so did I. “No stars tonight,” I said. “Mm. No flying.” I looked at her, and she at me. We smiled. 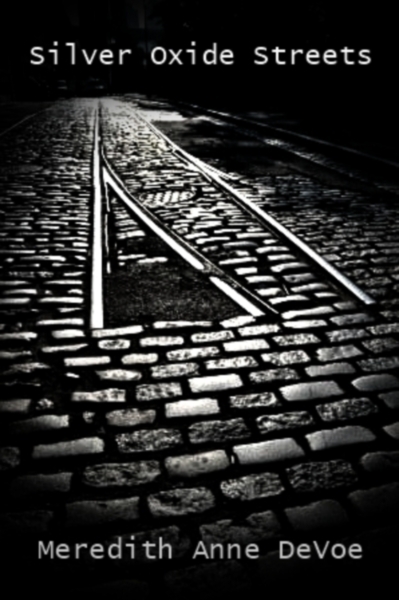 Silver Oxide Streets, published here in its entirety, is also downloadable (for free) to your e-reader by clicking here. 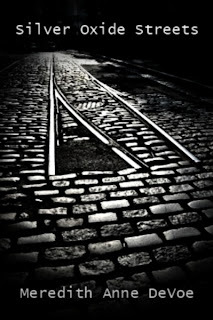 I walk silver oxide streets, black and oddly cobblestoned, and with a sheen of perpetual rain reflecting the streetlights. A woman passes me with a toddler squirming in her arms, the child's eyes meet mine, and the eyes go wide, then the baby begins to scream just as I pass. I have that effect on children. I slip into a tiny convenience store and fill a Styrofoam cup, the Pakistani behind the counter reads his paper and ignores me, as usual, when I throw the same limp two bucks on the Formica. The heavy door wheezes shut behind me as I go. I know there are just few more blocks to go but the coffee isn't warming my stomach or my fingers, like I expected; I’ve been walking all night and haven’t got more than a hundred feet from that shop. I pull the sweater close around me and the wind cuts through my skirt, why did I come out in this cold night, wearing this? Sean will laugh at me, tell me I’m crazy. I stop and turn. Did I walk away and leave him: Is he back there in the shop, or standing just outside under the streetlamp, looking for me, sipping his coffee? Shaking his head because I spaced out again… I turn back, seeing only emptiness on the sidewalk under the “24 HOURS” sign. I start back, and realize it is not the first time tonight. I stop short just as a gale wind takes my breath. But there is nothing to take. The wind blows through me like it would through rain. I am numb with cold, I have long since dropped the cold coffee from my icy fingers, it spreads blood-black on the wet cobbles, I cannot feel the edges of my sweater to pull them close to me. Why did I come out in this cold night? But there is Sean’s face, in glass before me. I must have turned in the darkness, and the convenience store is closed, the window dark. I hear a rhythmic beeping, someone’s phone perhaps. His face draws nearer, and there is terrible pain in my chest. Pressure, like the wind has me against a frozen stone wall. But his hand is warm, and there is a warmth in looking on his face. There is gold there, a welcome light. It is Sean, but not Sean. There is no glass now, only his face drawing nearer, and terrible light, and voices I don’t know, and the strident alarms. He sees me, and he knows I cannot stay in this place where the taste of blood is in my mouth and obstructing every breath. I feel the bullet in my lungs, the crashing of the glass, I know the stain of my life’s blood on the sidewalk and the Pakistani looking down with horror, for he has missed the thief entirely. His lips are trembling, despite his accent I know the word “forgive” and I meet his gaze, trying to tell him I forgive. I have seen the picture of his wife and children on the wall behind the cash register and looked into their dark eyes while the receipt printed out, making its little sounds like tree frogs in pain. The light is no longer terrible. Like his kiss, it is warm. His face gives way to another, more beautiful, better known, whose kiss is my breath, whose gaze is my life’s blood. WIN a Kindle or Nook!! 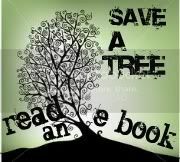 Your choice of a Kindle or a Nook! $25 worth of your choice of books! Other prizes along the way that individual authors offer on their blogs! In addition, you will find recipes, gardening tips, and good books along the way. You will spend some time hopping from blog to blog, collecting the passage phrases. Each blog will also give you a recipe, a gardening tip, or other “freebie” for participating. Be sure to check out their books—you may find a great Summer read. After completing, you could win a Kindle or a Nook! A gardening tip: Plantings near masonry work or concrete sometimes begin to do poorly because the soil becomes alkalinized by the presence of the lime in the concrete. If rhododendrons or azaleas are looking poorly, test the soil-- it may need acidifying by the addition of manure or coffee grounds. My recipe is on my recipe blog, just in time for summer: Easy Mango Ice Cream! My giveaway: A free e-book version (any format) of Blackbirch Woods. The winner will be chosen at random from those who "Like" the Facebook page. Line 89: It’s all about the connection. To be eligible for the grand prize, copy each short, numbered phrase posted on each author's blog post and assimilate them into the complete passage: “Authors in Bloom,” a vignette about a women’s personal growth and empowerment. Have fun, best of luck, and get hopping! Stock up on Summer Reading now!! I have lowered the price of the e-book to just $0.99. Click the e-book link on the right and download any e-reader format from Smashwords.com. Sannu da zuwa, or Welcome! My husband and I are missionaries in Jos, Nigeria. 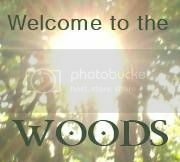 You can read news and updates about our ministry at www.devoes.blogspot.com. Get a Kindle book reader here! Copy and paste the code in the window below and add it to your blog or website.